According to the Financial Times, in this article, it was just 5 years ago that Raiffeisen International, the Austrian-based bank with the greatest involvement in Eastern Europe, bought Casa Agricola, a struggling state-owned Romanian bank, for $45m and invested about $250m in its modernisation. Today, analysts estimate the bank could be sold for $2.5bn (€1.68bn, £1.22bn). The rise in value is attributed to Raiffeisen’s success in overhauling Casa Agricola as well as to Romania’s soaring economic growth, rapid credit expansion and spiralling asset appreciation. Many business people in Bucharest see the case of Casa Agricola as exemplary, and argue that similar success stories are developing across the board. Not everyone, however, sees things like this. The International Monetary Fund, for example, (and of course yours truly the blogger here) takes a rather different point of view. 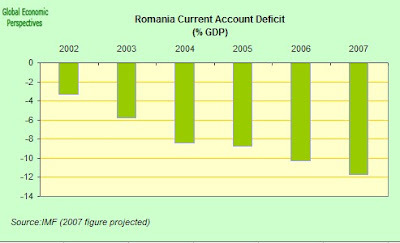 Concerned about the continuing impact of the global credit market turmoil, the IMF has been consistently warning (and here) about the dangers of economic overheating in Romania, citing in particular the yawning current-account deficit and the financing problem that this could pose should there be a sudden and sharp reversal in investor risk appetite. In addition inflation, which had been falling steadily in recent years, jumped to 6.8 per cent October after climbing steadily from a low around 4 per cent in the January-July period. 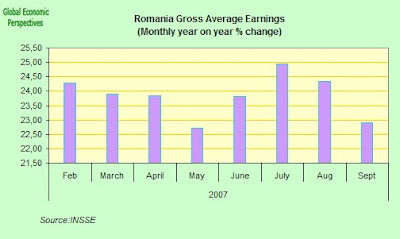 Rising world energy and food prices, compounded by a drought inside Romania itself, are playing their part. 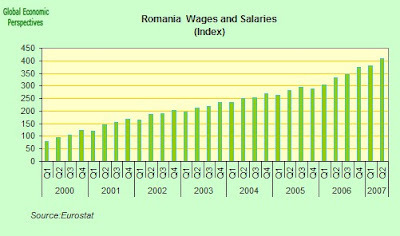 But so is rapidly rising local pay (fuelled in part by labour shortages which are caused by massive outmigration - the consequences of which the Romanian authorities are effectively in denial about - and years and years of below replacement fertility). Wages seem set to rise this year by about 25 per cent in money terms (or about 20 per cent in real terms) year on year. 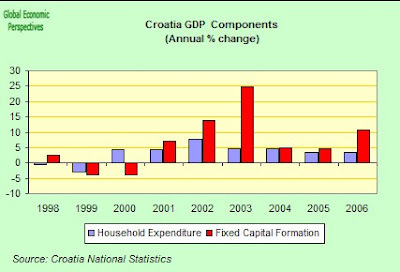 Far from running a fiscal surplus to try and cool the economy - as advised by the IMF to drain excess liquidity from the system - government spending is being increased, with a 43 per cent increase in pensions currently being implemented, and a further 30 per cent rise having already been approved for early 2009. 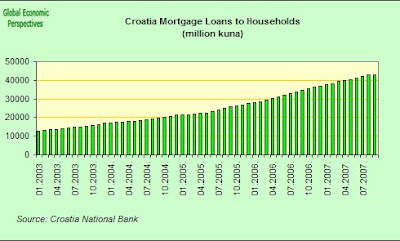 A steady and increasing flow of remittances from Romanians working abroad is also helping to fuel a credit surge, particularly in home loans. In fact the IMF is not the only entity drawing attention to this situation. 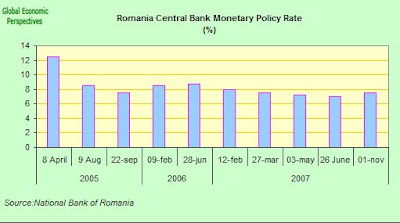 The National Bank of Romania published data earlier this week - in its Monetary indicators October 2007 press release - which shows that private debt in Romania increased an annual 51.4 percent in October as individuals and companies took out more loans in foreign currencies. Debt rose to 133.3 billion lei ($55 billion) as of Oct. 31. And the combination of all these factors means that GDP goes charging forward at what may well be an unsustainable pace. According to data just released from INSSE (the National Statistics Office) GDP in Q3 2007 again accelerated again (slightly) to an annual 5.7 %, up from 5.6% in Q2. In October, non-government credit went up 3.3 percent (2.3 percent in real terms) from September 2007 to RON 133,319.6 million. 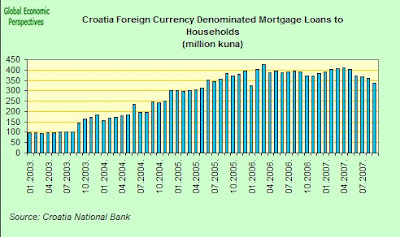 RON-denominated loans picked up 3.3 percent (2.3 percent in real terms), while foreign currency-denominated loans increased by 4.0 percent when expressed in EUR and by 3.3 percent when expressed in RON. 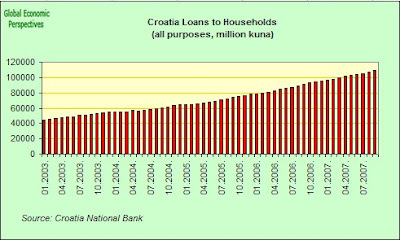 At end-October 2007, non-government credit advanced year on year by 51.4 percent (41.7 percent in real terms) on the back of the 40.5 percent growth in RON-denominated loans (31.5 percent in real terms) and the 63.3 percent rise in foreign currency-denominated loans expressed in RON (when expressed in EUR, forex loans expanded by 72.4 percent). The IMF has warned that borrowers might be assuming too much risk, especially as an increasing share of the loans are either in foreign currency, mainly euros, or indexed to foreign currency. And of course all this increase in credit is financing soaring increases in imports, boosting this year’s likely current account deficit to 14-15 per cent of GDP – a level the IMF considers dangerous. Last year the €10bn deficit was largely financed by privatisation-boosted FDI of €9bn. But this year’s forecast FDI of €7bn will fall far short of the likely €17bn deficit – leaving banks to finance the gap with credit, much of it short-term. The IMF take the view that this is unsustainable, particularly with global conditions worsening. But Bucharest-based bankers argue much of the credit is quasi-investment as it is provided in-house by multinational banks to their Romanian subsidiaries. 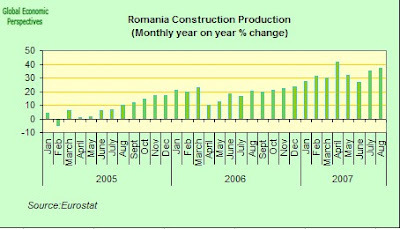 Of course one of the areas where all this extra economic heating is most directly noticed is in construction, and Romania recorded in August (the latest month for which comparative data are available from Eurostat) the highest annual pace of construction growth (37.5%) of any country in the European Union. 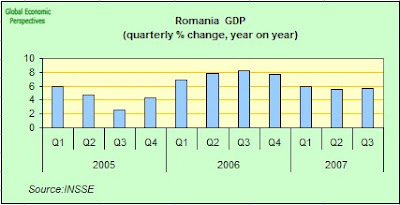 According to data supplied to Eurostat, Romania is way out in front here, followed by Great Britain with a 7.7% year on year rate and Slovenia with a 4.6% one. Even the Baltic countries have no dropped out of this particular race. 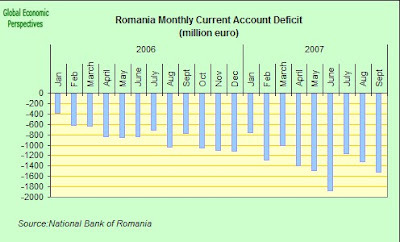 Meanwhile the Romanian leu continues its downward course, falling again early in the week for the third straight week against the euro as investors became increasingly concerned about the widening current-account deficit and accelerating inflation. The leu has been the world's worst-performer against the euro in recent weeks, falling the most since August 2005, as investors trended away from higher-yielding emerging-market assets amid a sell-off in Romanian stocks. 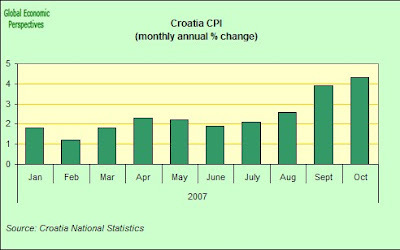 As can be seen above, in the few days the fall seems to have been brought to at least a temporary halt after central bank Governor Mugur Isarescu said sharp swings in the exchange rate can harm the country's economy and indicated the possibity of a further tightening of monetary policy to address the inflation problem. The National Bank of Romania raised its key interest rate to 7.5 percent from 7 percent at the end of October following the rise in the inflation rate to a one-year high of 6% in September and 6.8% in October. But Isarescu has also warned about the sharp rise in indebtedness and the limits to conventional monetary policy in the current environment. Now although Romania nominally has a relatively high unemployment rate - some 7% using ILO methodology - it is impossible to know just how realistic this figure is, since we do not really know how many Romanians are actually in the country and ready and available for work, or indeed the quality of the unemployed labour force that actually are. 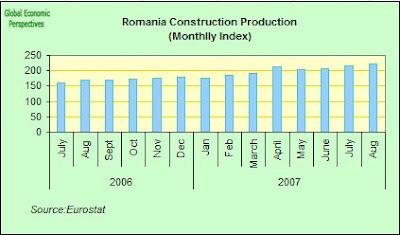 One measure of the situation though can be found in the recent statement by economy and finance minister Varujan Vosganian that Romania has a current labor shortage of about 500,000 workers, especially in construction, heavy industry and car manufacturing. "We need more engineers, mechanics and bricklayers........We have a labor deficit of about 500,000 employees," he admitted at the opening of a conference on professional and technical education recently. 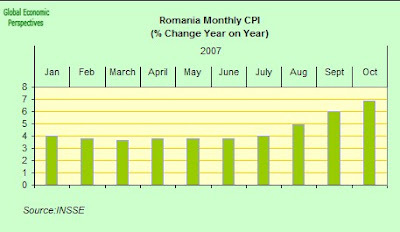 One of the really difficult problems which comes into operation in a situation like that which Romania is currently experiencing, and where a strong level of euro indexing of prices and a significant number of households and companies are paying loans which are in or indexed-to euros (or other foreign currencies), is that exchange rate and monetary policy become effectively impotent (this is what Mugur Isarescu means when he talks about the limits of monetary policy) to correct growing competitiveness problems - since given the indebtedness it is just not practical to encourage any substantial downward correction the exchange rate, while increasing the interest rate only puts upward pressure on the currency and attracts additional funds in search of yield, and these only serve to make the excess demand problem even worse. 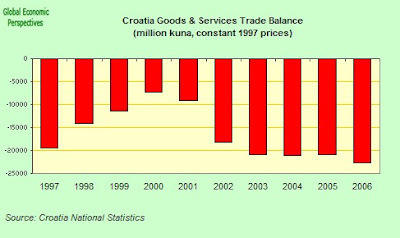 Thus the only real arm left in the government policy arsenal is the fiscal policy one, whereby the government attempts, by running a fiscal surplus, to "drain domestic demand" from the system, and thus work to effect some form of price deflation (for a fuller discussion of this complex topic in the Latvian context see this post). And this, of course, is exactly the policy that the IMF economists tirelessly advocate that the Romanian government practices, but unfortunately the message seems to be falling on deaf ears. 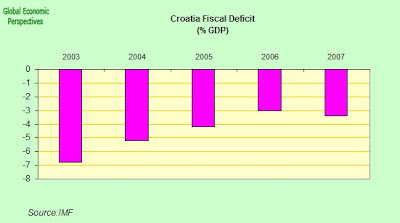 Now, evidently, running a deficit stimulates demand, which increases economic growth, and this extra growth does, of course, bring in increased revenue which can help pay for extra spending, but if the economy is already running up against its capacity limits then this extra growth is rather artificial, and such attempts at growth really only has one result, that of pushing up wages and prices, and thus increasing inflation, and given the difficulties associated with implementing a strong downward correction in the currency this inflation means only one thing, a loss of export competitiveness, and this, of course, is what we are seeing happening in the Romanian case. And on top of this we have the issue of remittances coming back home, stimulating even more demand, demand which would lead to the employment of those workers who have migrated, only they are now no longer there. 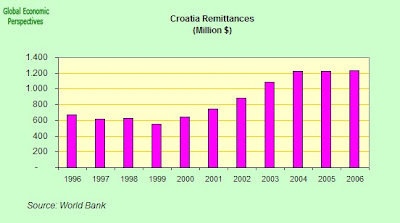 Undoubtedly this flow of remittances (around 4.3% of GDP in 2006 according to the World Bank) carries some of the responsibility for the escalating home demand, and rush to borrow, since you don't have to be an economic wizard to see that the money can be initially used to accumulate the deposit to purchase a new family home, and then subsequently as a stream of income to help make the mortgage repayments. So more than having the alarm bells ringing, the writing is now on the wall I would say. 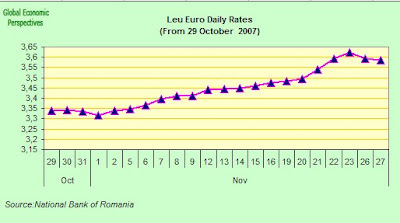 Even Central bank Governor Mugur Isarescu warned on Nov. 1 he was concerned that foreign-currency lending ``exploded'' in recent months, increasing the risk associated with any depreciation of the local currency, and the national currency the leu was the world's worst-performer against the euro last week, falling the most since August 2005, as investors shunned higher yielding emerging-market assets amid a sell-off in Romanian stocks. So take note of the old adage, caveat emptor. Japan's retail sales rose at the fastest pace in more than a year in October as consumers bought new-model cars and record gas prices increased revenue at filling stations. Sales climbed 0.8 percent in October from a year earlier, and this constituted the third monthly gain, according to the Ministry of Economy, Trade and Industry in Tokyo this morning. Well, that's the headline news, and here's a slightly longer term chart. 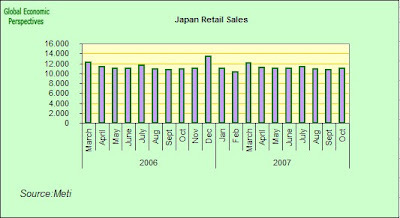 As we can readily see, there is nothing especially impressive about Japan's recent retail performance, and only in Japan would it be headline news that sales had managed to eke out a 0.8% y-o-y increase (sales rose by only 0.3% in 2004, by 1.2% in 2005, and actually fell by 0.2% in 2006 - the highpoint of the latest expansion - a little detail which helps put some of the recent y-o-y increases in perspective, since in many cases we are only recovering 2005 levels). So I think we need at the very least to be rather cautious here about the extent to which this "surge" in consumption is going to do much to offset the sharp reduction in Japanese housing starts, and declining export sales to the United States. Add to this the looming fiscal tightening reported on earlier in the week and it is hard to see on which of its various weakening legs the Japanese economy is now going to stand (interestingly enough the cabinet office publication referred to below states that the "Acceleration and deepening of reforms will hereafter be pursued based on the 'Economic and Fiscal Reform 2007'" which means watch out for either a consumer tax or a reduction in public spending as the next key arm in the reform process). In fact, and in far more realistic vein, the Japanese government this week cut its assessment of the job market for the first time in more than three years, calling into question in the process one of the central bank's key arguments for raising interest rates. "Job-market conditions continue to be difficult and there has been a pause in improvement" the Cabinet Office said in its monthly economic report for November, following a rise in the unemployment rate for two consecutive months. The unemployment rate climbed to 4 percent in September, up from the 3.6 percent registered two months earlier. The total number of employees fell 0.7 percent in September, while the number of workers at companies with five or more people increased 0.3 percent. On top of this wages, far from rising earlier in the year as the labour market tightened, have declined in nine of the last 10 reported months and mid-year bonuses, which constitute about 10 percent of a worker's annual income, dropped this summer for the first time in three years. However, such "minor adversity" notwithstanding, the Japanese government does still feel bold enough to keep to its overall view that the economy, now in its 70th month of expansion, is in the process recovering. Masaaki Kanno, chief economist at JPMorgan in Tokyo, said a strengthening yen clouded the picture. If the yen broke through Y100 or Y90 to the dollar, he said, it could "be a big blow to the economy" and once more raise the spectre of deflation. "In the past we didn't worry so much about yen strength as we believed the global economy would grow steadily," he said. "But if the strong yen is caused by the slowing of the global economy together with the spread of risk aversion, then probably we should be a bit more worried than before." Claus has a fuller discussion of the issues which might be raised by any possible Japanese intervention to restrain the yen's rise on Japan Economy Watch (here). But it is not only the Japanese government which has been pulling back its expectations, the Bank of Japan, in the shape of Bank Governor Toshihiko Fukui has also been expressing his strong concern about the ongoing turbulence in world markets, comparing it with “a serious disease”. Fukui is quoted as saying that the volatile movements in financial markets since July suggested global markets were paying the price for “euphoria and excessive risk-taking”. 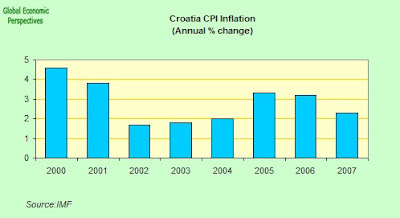 It was the central bank’s job, he said, “to help markets adjust themselves in an orderly manner as far as possible, while keeping markets functioning at all times.” Up to now, and despite the fact that the bank has fractionally pared-back its growth and inflation predictions for 2007, it has by-and-large stuck to its central thesis that Japan’s economy remains in a virtuous cycle. But with every passing day this view becomes more difficult to sustain, and market participants are growing more pessimistic by the day about the likelihood of any further interest rate increases from the BoJ in the foreseeable future. Meanwhile Japanese shares have been falling . The Nikkei slid 69.07, or 0.5 percent today, falling to 15,153.78 at the close of trading in Tokyo. The move down was led by the Sumitomo Mitsui Financial Group Inc., after Wells Fargo announced a $1.4 billion pretax charge tied to increased losses on home equity loans. Shares also declined after the announcement yesterday that U.S. consumer confidence fell more than expected in November and housing prices dropped the most since at least 1988, pointing to weaker demand in what is still Japan's biggest overseas market. Japan in fact recently had the honour of becoming the first of the world's 10 biggest stock markets to enter a bear market since the U.S. subprime-mortgage collapse, since the Topix index last week registered a cumulative 21 percent decline from its 2007 peak. The 39-year-old Topix, which constitutes the broadest gauge of Japanese equity prices fell 0.1 percent on Nov 22 to 1,437.38, in so doing reaching its lowest level since October 2005, and this was 21% down from this year's highest close of 1,816.97 achieved on Feb. 26. 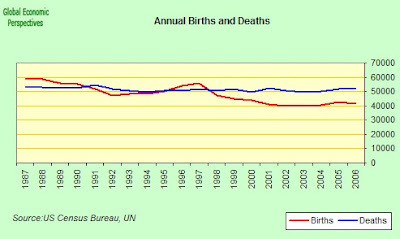 The Topix benchmark has in fact fallen 14 percent since 1 January 2007. Uncertainty and volatility abound everywhere at the moment, and today we have also learned that China has now followed Japan into bear territory, since the CSI 300 Index (which tracks 300 yuan-denominated stocks) fell for the third consecutive day losing 62.40, or 1.3 percent, and closing at 4,648.75, its lowest value since Aug. 17. Todays value also represents a decline of 21 percent since from the record high registered on Oct. 16. A 20 percent drop within 12 months is widely interpreted as signaling entry into a bear market, although what quite represents what these days is in fact anyone's guess. Still, this is a very, very rapid turn around indeed, and things now need watching very carefully. Now, as is generally known, bonds typically move in the opposite direction to stocks, and the present juncture is no exception to this little rule, since yields on Japan 10-year government bonds have been showing a correlation of 0.96 with the Nikkei this month, according to data compiled by Bloomberg. And a value of 1 would mean the two moved in complete lockstep. So true to form Japanese government bonds rose again yesterday as investors continue to be nervous about the possibility of a quick resolution to global credit problems (and the announcement yesterday from the ECB that they are about to inject a further €30bn ($44.3bn) in one-week funds into the banking sector will hardly be making them less nervous). The rise in JGBs followed a sharp decline on Tuesday which accompanied the release of the news that Abu Dhabi Investment Authority, currently the world's biggest sovereign wealth fund, was planning to inject $7.5 billion into Citigroup Inc. Citigroup has been one of the banks which has been hardest hit by subprime mortgage sector problems and the consequent credit crunch. What is most striking about all of this is the volatility we can see everywhere at the moment. JGB futures have recently risen to their highest since January 2006 - and yesterday ended the session up 0.21 at 137.10, close to last weeks 22-month high of 137.53 - as the global financial market problems and the steady trickle of negative news from Japan have sustained doubts over whether the BOJ will lift interest rates to 0.75 percent from the current 0.5 percent before the end of Japan's fiscal year in March. The 10-year yield fell 1 basis point to 1.480 percent, but this was still significantly above the 26-month low of 1.395 percent reached last week. The five-year yield also fell back 2 base points to 1.025 percent, following a temporary recovery from last weeks slide to a 0.995 percent 21-month low. The two-year yield is performing in similar fashion, edging down 0.5 base points to 0.755 percent, following the nine-month low of 0.715 percent registered earlier in the month. 3/ that it is extremely unlikely we will see any further interest rate increases from the BoJ in the short term, and that the next move when it does come is just as likely to be down as it is up. A fuller examination of the overall macro-economic situation in Japan can be found in Claus's recent post - Where Is Japan Heading? Croatia, the second largest of the former Yugoslav republics, holds a parliamentary election on Sunday, November 25, 2007. The State Election Commission has live election results in Serbo-Croatian (Croatian). A preliminary distribution of parliamentary seats appears at the bottom of this posting, under Update. The boomerang-shaped country's unicameral legislature is composed of up to 160 members, of which 140 are chosen in ten multi-member constituencies. Croatian nationals residing abroad are also represented in Parliament, but the number of seats set aside for them is determined according to the proportion of votes cast by expatriates relative to the total number of votes cast in the ten territorial constituencies. 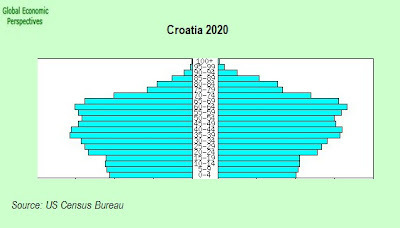 Finally, eight seats are reserved for Croatia's national minorities, with the Serbs entitled to three seats and the remaining groups to five. Multi-member constituency seats are apportioned by the D'Hondt or largest average method of proportional representation, while national minority seats are filled by majority voting. The electoral law establishes a five percent constituency-level threshold for the proportional distribution of seats, but in practice the official barrier is rendered irrelevant by the fact that each territorial constituency has 14 seats, and the application of the D'Hondt rule in these establishes a higher de facto threshold of up to 6.7%. 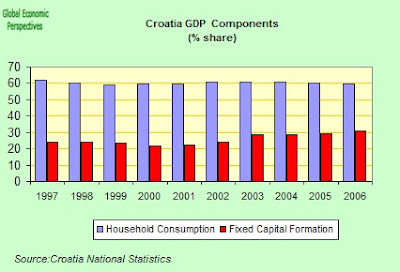 Like neighboring Slovenia, Croatia held its multi-party elections in 1990 and declared its independence the following year, after the proposal was overwhelmingly endorsed by Croatian voters in a referendum. 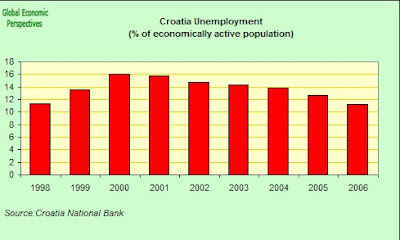 However, Croatia's large ethnic Serbian minority, which constituted about one-eight of the country's population, was staunchly opposed to independence, and rebel Serb groups, morally and materially supported by the rump Yugoslav state, seized control of about one-third of the country during Croatia's brief war of independence with the Yugoslav People's Army. 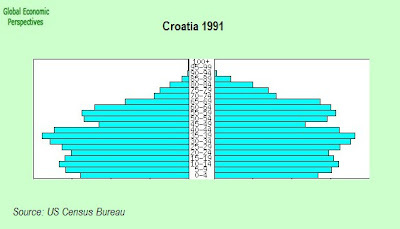 Although Croatia attained international recognition by 1992, the country had to deal with a large number of refugees from both Croatian areas under Serb control as well as from Bosnia-Hercegovina, where a full-scale civil war was raging. 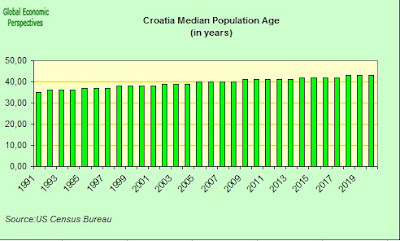 Nonetheless, Croatia recovered most of the Serb-controlled areas in a 1995 military operation, and following the Dayton peace agreement, which brought peace to Bosnia-Hercegovina, the country peacefully regained control of the remaining areas. 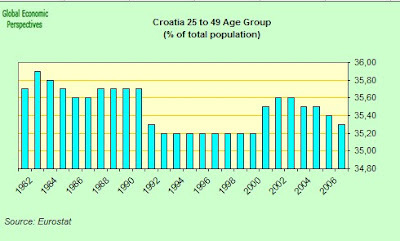 However, the Serbian minority dwindled to less than five percent of the population. 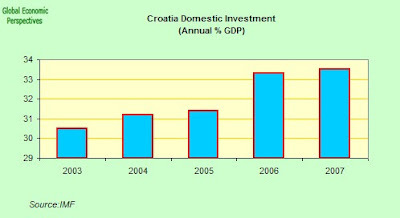 Save for a brief interval between 2000 and 2003, Croatia has been ruled since 1990 by the right-wing, nationalist Croatian Democratic Union (HDZ), and the party's founding leader, Dr. Franjo Tudjman, became the country's first post-independence president, holding office until his death in 1999. Although Tujdman's rule was somewhat authoritarian, the HDZ government of Prime Minister Ivo Sanader, in power since 2003, has pursued a more moderate course and sought to improve cooperation with the International Criminal Tribunal for the Former Yugoslavia (ICTY), which indicted for war crimes several individuals regarded by many in Croatia as national heroes. 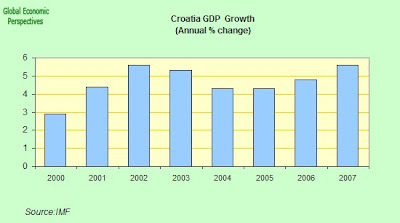 Since 2004, Croatia has been officially a candidate for membership in the European Union. 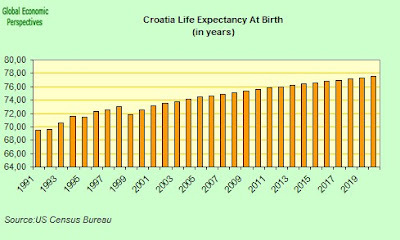 However, Croatia's GNP per capita, while much higher than that of any former Yugoslav republic other than Slovenia, remains well below the EU average. More importantly, widespread corruption remains a major obstacle to EU membership. Recent polls suggest a close race between HDZ and the main opposition party, the left-of-center Social Democratic Party (SDP); neither appears likely to gain an outright parliamentary majority, and several minor parties trailing well behind could hold the balance of power after the election. Preliminary figures from Croatia's ten territorial constituencies have the Croatian Democratic Union (HDZ) narrowly ahead of the opposition Social Democratic Party (SDP). 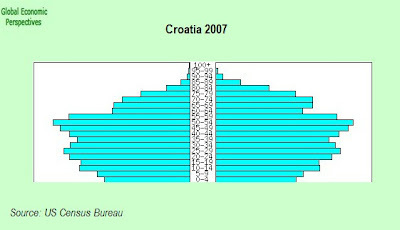 According to election results published by Croatia's State Election Commission, HDZ would have 61 seats to 56 for the SDP, while a four-party alliance headed by the Croatian Peasants Party (HSS) and the Croatian Social Liberal Party (HSLS) would obtain eight seats, and the Croatian People's Party - Liberal Democrats (HNS) would receive seven; four smaller parties would secure the remaining eight seats. In addition, results for the Croatian diaspora indicate HDZ would capture five additional seats, for a total of 66 seats. Voter turnout in the territorial constituencies stood at 63.5%. Voting will be repeated on December 9 in five polling stations that reported more ballots than registered voters, so final results won't be known before that date. Meanwhile, following a first round of consultations over the formation of a new government, Croatian President Stipe Mesic declared that neither Prime Minister Ivo Sanader (HDZ) nor SDP leader Zoran Milanovic have the required parliamentary majority, contradicting assertions by both party leaders. Claus - who has an excellent and highly entertaining post on his personal blog this morning about the quandry which must exist in almost everyone's mind concerning what is actually happening to the dollar at the moment, and whither lies its future - drew my attention earlier this week to this interesting piece from Nouriel Roubini about global recoupling. Actually the Roubini post raises a number of points, all of them interesting ones, and some of them not as semantic as they seem at first sight. Japan's exports rose to a record in October as companies shipped more cars and electronics to Asia and Europe, easing concern that a slowdown in the U.S. will cool the economy's expansion. 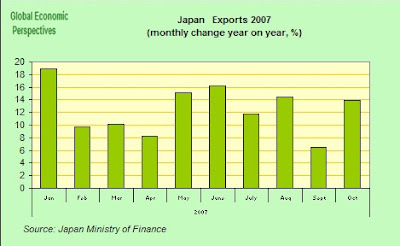 Exports climbed 13.9 percent from a year earlier, the Finance Ministry said in Tokyo today, double September's pace. That helped lift the trade surplus 66.1 percent to 1.02 trillion yen ($9.3 billion) as imports gained 8.6 percent. Shipments to China and the European Union surged to the highest ever, cushioning a drop in exports to the U.S., where the worst housing recession since 1991 is crimping demand. Toyota Motor Corp.'s profit rose 11 percent last quarter, helped by sales of Camry sedans in Europe and Asia. This is, if you will, the headline grabbing story, the one that everyone notices. 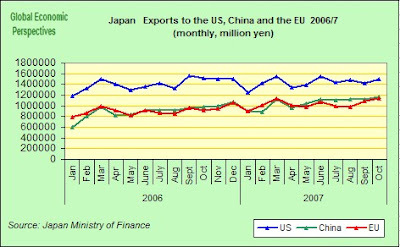 Record Japanese exports, with a shift in emphasis away from the US and towards Europe and China. (You can find the details in this PDF from the Japanese Finance Ministry). But it is when we come to the actual export shares that things get really interesting, since what we find when we come to look at the composition of Japanese exports is that exports to the US actually declined year on year in October, while exports to China and the EU have continued to accelerate (as they say, to some extent exchange rates do matter) and indeed Japan is even now close to closing the trade deficit it has been running with China. And this perhaps explains why a Japan analyst like Morgan Stanley's Takehiro Sato has been talking about "decoupling" in the Japan context, not because Japan's economy is being driven finally by internal demand (far from it), but because the direction of exports is changing, and in particular Japan is now much more sensitive to growth in Europe and some emerging economies (Asean, China) than it is to the ups and downs which occur in the US. (For a fuller explanation of the entire Japan situation see our Japan Economy Watch blog, and most recently this post from Claus). Returning for a moment to semantic issues, it may well worth noting that there appear to be two bipolar couplets in circulation at the present time . On the one hand we have the "recoupling-decoupling" contrast and on the other the "hard landing-soft landing" one. Now this is neither the time nor the place to enter into an examination of what it is that those who use the expression "hard landing" in the US economy context might mean when they do so (other than to say that there seem to be interpretations around to suit all palates, but that I personally do not consider that a mere recession would constitute a sufficient condition to justify use of the expression "hard landing", and while I think the odds of garden variety recessions in the United States economy and elsewhere in the developed world in 2008 are over 50%, most of this will be a far cry from what I would be willing to term a hard landing). Instead I would like to focus here on thinking about what we mean when we talk about "decoupling-recoupling", and I have chosen the Japan case to get us started, since I think it offers and easy way in. Basically there seem to be two versions of the "decoupling" thesis knocking about. The first of these (which is now very definitely going out of fashion very fast) was based on the idea that the global economy was finally decoupling itself from the US one due to the fact that key global engines among the G7-type economies - and in particular Germany and Japan (and following in both cases lengthy periods of structural reforms) - were finally coming out of a long period of sub-par economic growth and achieving "home grown", domestic-demand-driven, sustainable recoveries in a way which would enable them to take more of the global strain during what was perceived as being a period of inevitable US "correction". Claus and I never actually bought this story, in particular we didn't buy it since we never thought that domestic demand would recover in countries like Germany, Japan and Italy in the way in which many were expecting, essentially for age-related demographic reasons. I think history has, more or less, borne us out on that one. But there is another sense of "decoupling" (which is the one Claus and I prefer to call "recoupling", although this is not recoupling in the way in which Nouriel Roubini uses the expression, which seems to refer to a renewed coupling to a US economy which is on its way down) and this is to do with the way in which certain emerging market economies (the EU 10, Ukraine, Russia, China, India, Turkey, Brazil, Argentina, Chile etc) are now accounting for a very substantial proportion of global growth (Claus and I have yet to do the detailed numbers on this, but suffice it to say that India, China and Russia alone will account for over 30 % of the growth in the global economy in 2007). This is a far cry from the central role which the US economy was playing in global growth in the late 1990s. So in this sense something fundamental has changed, and this is what Claus and I are calling "recoupling". 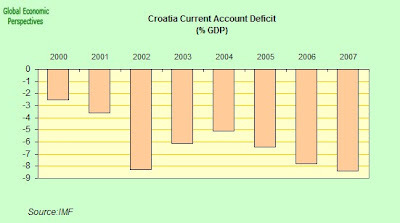 This situation can be observed quite clearly in the two charts which follow, which are based on calculations made from data available in the IMF October 2007 World Economic Outlook database. Now, as can be seen in the first chart the weight of the US economy in the entire global economy has been declining since 2001 (and that of Japan since the early 1990s). At the same time - and again particularly since 2001 - the weight of the soc called BRIC economies (Brazil, Russia, China and India) has been rising steadily. This is just one example - and a very crude one at that - of why Claus and I consider that demographics is so important, since it is precisely the population volume of the BRIC countries (and the fact that they start their development process from a very low base, ie they were allowed to become very poor comparatively, for whatever reason) that makes this transformation so significant. Again, if we come to look at shares in world GDP growth we can see the steadily rising importance of these economies in recent years and the significantly weaker role of "home grown" US growth. The impact of the collapse of the Tech stocks/internet boom in 2001 is clear enough in the chart, as is the fact that everyone went down at the same time, and this is the old form of "coupling" wherein the US economy due, to its size (and hence specific weight) and "above-par" growth potential played a key role, and, as can be seen, when the US went down, then god save the rest. The present debate is really about what will happen if the rising dollar cost of oil and the ongoing difficulties in the financial sector caused by the sub-prime problem leads the US into recession in 2008. Will everyone else follow this time? 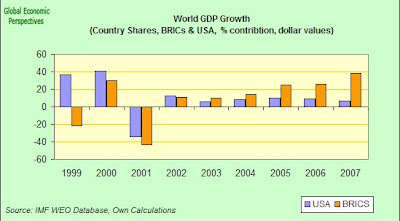 In 1999 the US economy represented 30.91% of world GDP, and in 2007 this percentage will be down to 22.4% (on my calculations based on the forceast made by the IMF in October 2007). In 200 the US economy accounted for a staggering 40.71% of global growth, and by 2007 this share is expected to be down to 6.43%. So there are prima-facie reasons for thinking that this time round the impact of any US slowdown will not be as acutely felt in some parts of the globe as was the case in 2000, but which parts of the globe will be more affected and which less so? The Global Economy, Who is Linked to Who? What we have on our hands then is another type of "recoupling" (a very fertile metaphor this one, I think), and one which analysts like Richard Katz are missing, I feel, when they continue to put considerable emphasis on the "round tripping" component in those Japanese exports which are initially sent to the Asian Tigers and China (in the sense that many of these are assumed to be components for assembly and subsequent re-export) since I think we are increasingly seeing an element of autonomous local-consumption-driven demand in places like S Korea and now indeed inside China itself. Komatsu's recent decision to build a new factory inside Japan wasn't primarily driven by anticipated demand for earth moving equipment in the US economy it seems to me. Komatsu Ltd., the world's second- largest maker of earth-moving equipment, said it will spend 5.3 billion yen ($48 million) to build a factory in central Japan to make excavators to meet rising overseas demand. The company will spend the money on acquiring 104,500 square meters (26 acres) of land near Kanazawa port, and on construction costs of the factory, the Tokyo-based company said today in faxed statement. The plant, which will build excavators weighing 400 tons, will start production in August 2009 and will have a capacity to make 30 units annually. Komatsu's investment follows domestic rival Hitachi Construction Machinery Co.'s move in increasing production capacity for giant excavators used in mining projects as demand expands in Indonesia, China and Russia. In January, Komatsu constructed its first domestic factory in 13 years to make large- size wheel loaders and dump trucks used in mining. 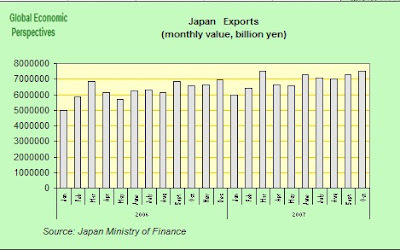 And looking at Japan exports in depth I really don't really see this indirect US dependence effect. Europe, China and Asean are all now very important for Japan, in their own right, and quite apart from the US cyclical connection, and obviously even in the event of a US recession US exports will not simply disappear from the map, they will simply reduce slightly rather than growing, but then they are already reducing and Japan is - at the time of writing - still maintaining healthy export growth. And then, of course, there will be India. So in this sense the declining share of the US economy in global growth does have a direct interpretation, since it means a decling dependence of export driven economies like Germany and Japan on extra spending on the part of the US consumer. At the end of the day, however, I think I do need to add a kind of dollar-effect "caveat emptor" here. 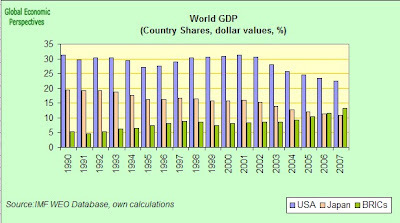 What we are talking about is a declining share of the US in the global economy in dollar value terms, and this decline is, by-and-large, being produced not by a large scale reduction in the rate of domestic GDP growth in the US, but by a relative decline in the value of the dollar, and as a knock-on consequence, a relative decline in the net worth of USA Inc. But be careful, since if the US economy was never worth the very high value that it acquired earlier due to the very high dollar exchange rates, it may well not be worth as little as future valuations may put on it should the dollar continue its decline. So what I am trying to do here is distinguish between two things, the level of interdendence of the advanced economies on one another, and the key factors driving the exceptional growth we are currently seeing in the global economy. At the end of the 1990s this growth was driven by exceptional performance in the US, and now it is driven by exceptional - and one-off - catch-up growth in some huge developing economies. So the times have changed, and with them the risks of contagion from any locally based US problems. At the end of the day, however, Nouriel Roubini certainly is right in the sense that most of the EU isn't decoupled in any strong sense from cyclical movements in the US (or shielded from the impact on local property markets of the current global credit crunch), but I don't feel he is really adequately addressing the extent to which the global role of the US itself is reducing. 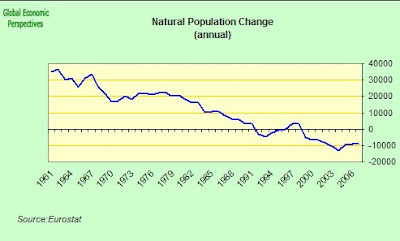 Two processes seem to me to be underpinning this decline. Firstly what for want of a better expression could be called the rise of the giant pandas (or pehaps the "bears", "pandas" and "elephants" following the "tigers" and the "lynxes", but well, I don't know, perhaps we are now gradually talking about all the animals imagineable across the entire human "zoo"), and secondly there is the ongoing slide in the dollar. Of course indirectly - and via the intermediary of a temporary upward structural shift in the euro - the former is really producing the latter as the already battered Bretton Woods II architecture gets steadily ground down. Both the US global GDP growth share and its absolute value share are now on the slide, and with that, logically, the level of direct coupling between the global business cycle and the US one. Indeed, with domestic US consumption taking a hit from rising energy costs and the internal credit crunch, it may in fact be the case that a US economy in need of exports for growth on a greater scale than hitherto is more closely coupled to the rest of the world than it was and in this sense some of the arrows on all our flow charts may have changed their direction. Returning then to where we started, Claus informs us that he is "thinking a lot at the moment on this whole shift in global liquidity and capital flows and where this is all going", and he is surely not the only one. Is the move out of the dollar which we have been seeing all this year simply a temporary, cyclical, phenomen, or is there now a deeper longer term structural process underway? Many excellent conventional currency analysts, like for example Morgan Stanley's Stephen Jen, continue to assume that the dollar is now near its bottom. This may or may not be the case, I am really not sure. Normally I would go with Jen, if this process is simply a cyclical one then it would be reasonable to assume that the euro cannot rise much further without placing unbearable strain on the export dependent engines of the eurozone economy (indeed arguably it has already done so, and Angela Merkel this weekend added her name to the list of those voicing concern). But what if the move into the euro is but a stepping stone, and what if the ultimate global reserve currencies are the yuan and the rupee? If size is what counts - and the transition in the interwar years of the last century from the pound sterling to the dollar suggests that it does - then this would seem to be the logical end state of this transformation, a sort of Bretton Woods III with a much more diversified set of currencies in central bank reserves, and among these not the least significant being the newly developed economy currencies. And don't lets forget that if the central banks are now more than ever concerned about maintaining and even increasing the value of all those reserves they hold, then it makes much more sense to hold more of the weighting in currencies which are likely to rise in relative value than in those which are likely to fall over - say - a 10 to 20 year window. So a large scale sea change would seem to be underway, and the only real question is whether a point of no return has been reached this time round, or whether the tide will again fall back (and the dollar recover some of its lost ground), before the water finally comes washing back in one unstoppable flood. And decision time on this is surely not far away now, since the eurozone is in particular difficulty this time round given that both the export dependent parts of the zone (namely Germany and Italy, but increasingly I imagine smaller players like Finland and Austria) are now struggling with the high value of the euro, while at the same time the property-boom-driven members (Spain, Greece, Ireland) are being weighed down in the ever-tightening grip of the credit crunch. 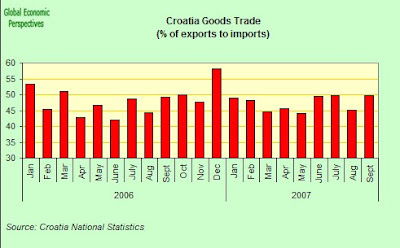 And again, as Claus and I have been arguing time and time again (and here), all of this does then leave the eurozone (via the Germany/Austria/Italy corridor) incredibly exposed to any financial and real economy problems which may be (or in fact arguably are) on the point of breaking out in Eastern Europe. It is the "coupling" with the emerging economies in Eastern Europe (which are surely much more vulnerable and exposed at the moment than are the mainstream BRIC economies and other developing powerhouses like Turkey, or even Argentina). This is why I use the expression "great transformation" in the title to this post, since this is what we seem to be witnessing. Hitler's Wermacht general's may well have proved incapable of "breaking out" of the ring of encirclement which the Russian army had placed around them in Stalingrad, but the BRIC economies really now do seem to have it within their grasp to make what would really be a historic "panda-" rather than panzer-lead breakout from the economic encirclement and poverty in which they have been trapped for so many decades now. Basically in both the above-mentioned cases demography does seem to be playing quite a central role, since demographically informed economic theory can help us understand both why some (though not all, ie Russia is different) of the BRIC economies are finally in a position to "break out" (the demographic dividend) and why those developed economies whose populations have median ages over 40 ( a select group whose number is little by little becoming a larger and larger proportion of the G23 economies - although notably this group does NOT include the US, the UK or France) are not able to generate sufficient domestic demand growth to take over the reigns from a weakened US economy and actually act as structural drivers of the global economy, but are instead destined to ride on the backs of those economies which may be considered to form part of the new group of emerging economy growth leaders (in the case of Japan China and emerging Asia, and in the case of Germany Central and Eastern Europe). As I say demography helps us understand both these phenomenon (and possibly even how they are interconnected) since the key factor in explaining why it is the above mentioned group of emerging economies who are leading the charge (and not another group, always stripping out, of course, those commodity driven economies which are themselves riding on the back of the global growth boom) is the attainment of near- or below- replacement fertility and with this the possibility of a "normal" (which is not we can now see "normal" as understood by neo classical economics) expansion wherein domestic demand begins to achieve the status of an autonomous and independent driver of growth. This process is also known as the demographic dividend and I have recently explained in detail how this is working out in the case of Argentina (and here in the case of Turkey). So we do have some sort of "recoupling" process at work out there, but it is not clear at this point just how sustainable this is. China's economy is, for example (and is extremely well known), extraordinarily dependent on exports, and even if some of the weight of these exports can be shifted towards Europe, it is not clear that China can resist a slowdown in both Europe and the US, and clearly it is not clear that Japan can resist a slowdown in the US, Europe and China etc etc. So even if the global economy is now recoupled when compared with the position we had at the end of the 1990s this does not mean that it has become "uncoupled", indeed as I have been arguing repeatedly globalisation now means that the global economy as a whole is more tightly "coupled" now than it has ever been. There is another detail which I would wish to draw attention to here before signing off, and that is that not all the emerging economies are alike. 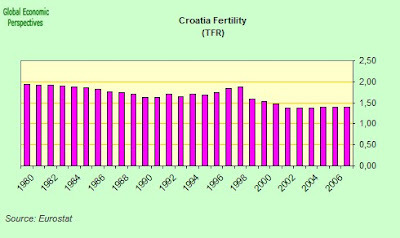 I have already suggested that methodologically it may well be necesssary to strip out the high fertility oil exporters (Nigeria, the gulf states, Venezuela etc) which for their own reasons may well be unable to generate stable autonomous local-demand-driven growth, but we also need to think about the cases of those emerging societies which have now had below replacement fertility for two decades or more. This would be principally the whole of Eastern Europe (including Russia) and of course China (with the one child policy). 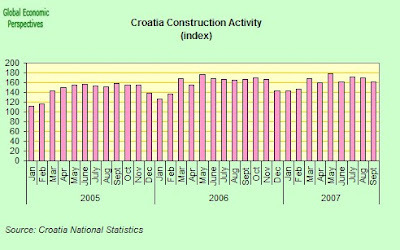 What is not clear in these cases is where they are going to get the labour supply from as we move forward to fuel both catch up growth in labour intensive sectors like construction and some kinds of manufacturing industry (the lower value added components) and the new human capital in sufficient quantities to make possible the rapid transition from one sector to another which is necessary to achieve the potential high rates of productivity growth. This is why what has been happening in the Baltics and Bulgaria (where growing labour shortages coupled with construction booms are sending inflation rapidly through the roof) seems to us to be so important. The Baltic economies may - to use the words of the Economist - be "pipsqueaks", but they are a very useful and important laboratory. What, we need to ask ourselves, will happen if the "Balitic syndrome" spreads to Romania, and then to Poland? And what if Russia then follows in a domino-like chain? And what, oh woe of woes, will happen if this process (really I would argue when, rather than if) reaches China (and just how far are we away from this possibility?). So with these rather preocuppying thoughts I will leave you on this rather grey and wintry day here in Barcelona. Recoupling is taking place, but which of the chain links will hold, and which will break. Aha, if only we knew!